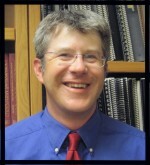 Jim Christensen has 20 years of experience in the cultural resource management industry, and is a qualified UXO Tech 1. He specializes in regulatory compliance law, history, prehistoric archaeology, military archaeology, and Department of Defense issues. Jim lends his knowledge and experience to completing projects efficiently and ahead of schedule. Jim is responsible for business development and management of strategic partnerships. Please contact Jim Christensen via email regarding any interest in business or employment opportunities with the ACR UXO Division.